The dream of a treble remains very much alive in the under 16s camp after gaining a place in the final of the Leinster Youths Cup by beating a strong and determined Mullingar side at Navan on Saturday. Skerries produced one of their best performances of the season punishing the midlanders infringments with a masterly display of goal kicking and converting seven out of eight attempts. While two strong packs locked horns in a battle for control up front, the real difference between the sides was behind the scrum where the Skerries back line were clever and sharp with ball in hand, always threatening and their efforts produced three fine tries. The Skerries defence was strong and focused allowing Mullingar’s big runners little time or space in which to operate. Full credit to both sides in playing their parts in a full hearted and entertaining encounter that continued at a high level right to the final whistle. So! 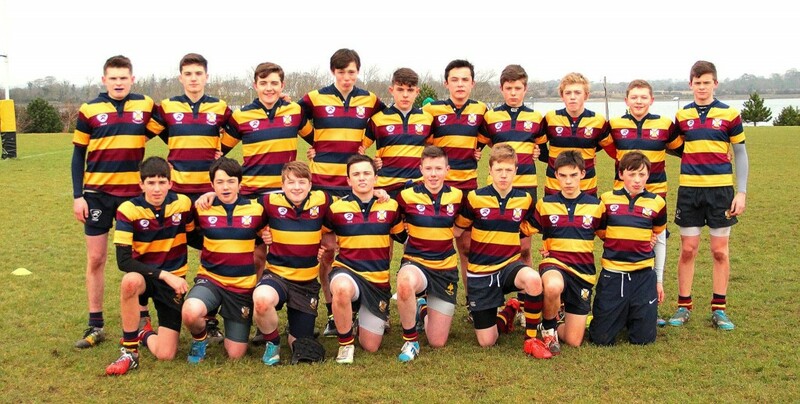 Three matches remain in the under 16s season (all of which are finals) with the first being the Leinster Youths Final against Boyne, taking place next Saturday 18th April in Navan RFC with kick off at 1pm. All support for the lads in the coming weeks would be very welcomed in their quest to add silverware to the clubs trophy cabinet . The dates and venues of all the u16s remaining fixtures will be circulated to the members when known.